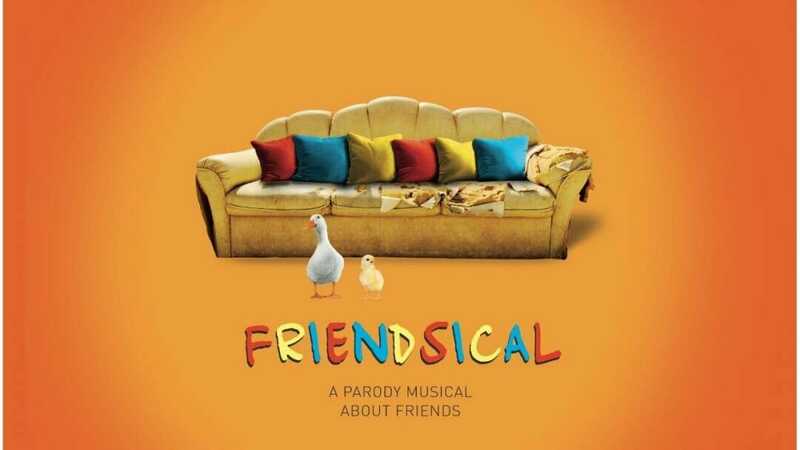 The UK tour of the hilarious parody musical Friendsical written by Miranda Larson, opens at the Everyman Theatre in Cheltenham on 15 July 2019 followed by a nationwide tour visiting: Darlington, Derry, Newcastle, Kingston, Malvern, Blackpool, Chelmsford, Southampton and Croydon. Friendsical will have a full run at the Edinburgh Festival from 1 – 25 August as part of the Assembly Festival programme in the Music Hall of The Assembly Rooms. When Ross’ wife leaves him for another woman, he fears he will never find love again. But then Rachel runs back into his life… will he end up with his one true love? Featuring original songs such as ‘(He’s her) Lobster!’, ‘Richard’s Moustache’ and ‘You’re Over Me? When Were You Under Me?’, the gang take on naked Thursdays, a power cut, and a dinosaur convention. This is a loving parody not to be confused with the Warner Bros Entertainment Inc. series Friends. Miranda Larson is a highly experienced writer-director for TV and theatre. A huge fan of the TV Show, Friends, Miranda was inspired to write her own friends-based comedy, The Box Upstairs and it was her first commissioned play in 2004. Her most recent credits include the adaptation of Tom Fletcher’s Christmasaurus for the Hammersmith Apollo, and the writing and directing of Peter Harris and Deborah Allwright’s The Night Pirates, which opened at the Rose Theatre Kingston and toured the UK. In addition are Cartoon Network Live and Trolls Live currently touring overseas. Other live show credits include the comedies SpongeBob Live & The Amazing World Of Gumball. TV credits include Life Bites and Bienvenue Bienvenida Welcome for the Disney Channel. Hubble, Bubble & Squeak for Nickelodeon, Chip and Potato for Darrall Mcqueen & Netflix. Friendsical is produced by Birdbrooke Entertainment ltd. Full casting and creatives will be announced in due course.